Shipped March 15th through August 30th Shipped USPS Priority Mail. Insured, open at Post Office. 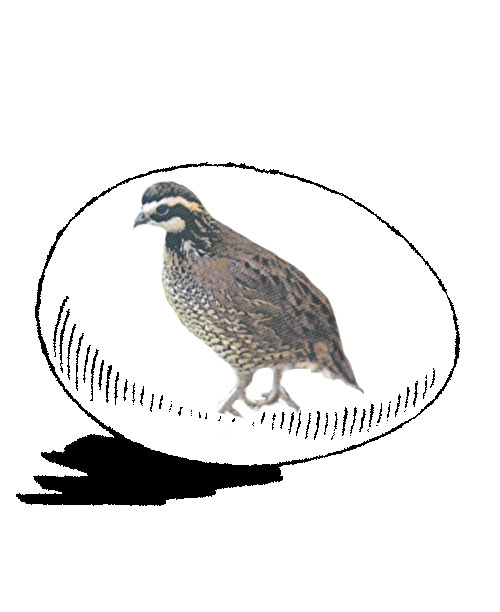 The quail eggs are sold in lots of 30, 60, or 90.
good hatch rate, great birds!I have hatched several batches of McMurray bobwhites over the past couple of years and average about a 85% hatch out of a small Hovabator Incubator, which I think is pretty good. What I find outstanding, however, is the quality of the birds from these hatches. The chicks have been super healthy; they thrive and grow fast on commercial turkey starter crumbles. I use my adult birds for training field trial dogs. They fly really well, even when not conditioned. They also act like wild birds and are not tame, in fact they scatter and run for cover at the first sight of a human. They also recall extremely well, so I don't lose many after release. I highly recommend these quail! Bad HatchI ordered 30 eggs, they sent some extra which was great. But Out of the 34 eggs only 3 hatched. After candling after a week there was about 12 that didn't even develop. Week two I candled again, lost a few more. I was down to 10 maybe that looked like they were potentially going to hatch, and only 3 ended up making it out. I am very disappointed in the hatch rate and will not be ordering ever again. My incubator is a brinsea that controls temperature, humidity, and turns. I have hatched before with it and had great results.